Creating your own city isn't nearly as fun as it sounds. 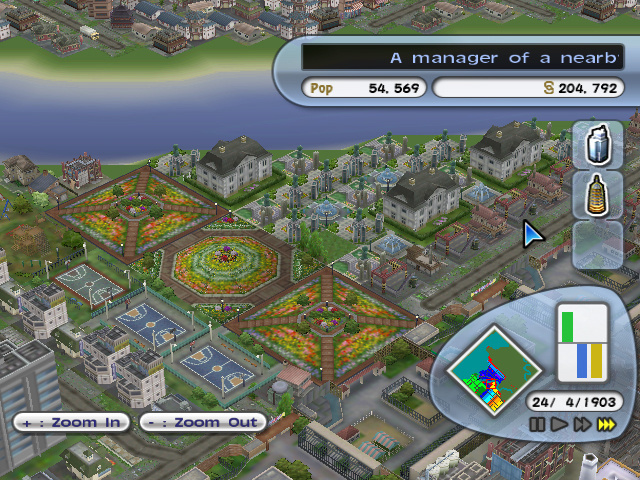 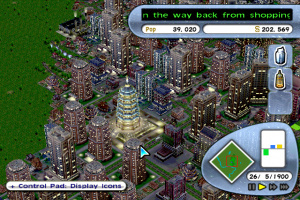 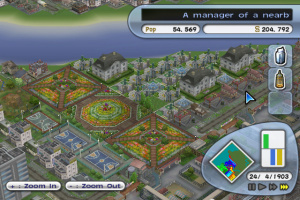 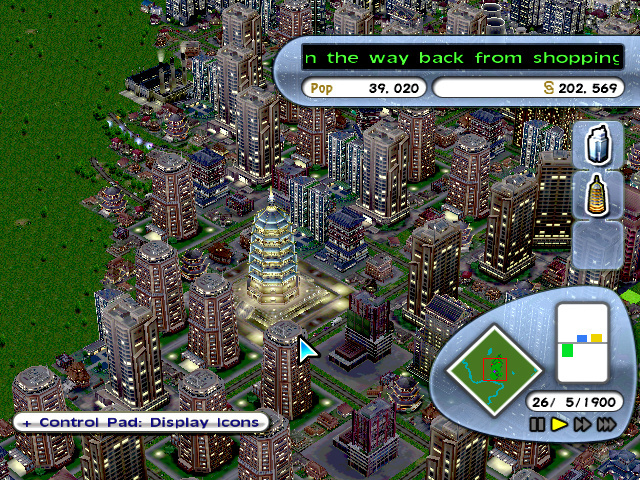 When the Virtual Console launched alongside the Wii in November 2006, SimCity was the flagship title for the SNES. 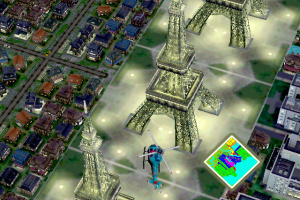 Though the graphical limitations of the SNES resulted in a rather dated experience, the core gameplay held strong and the game managed to show newcomers to the franchise that it remains funeven after almost two decades. 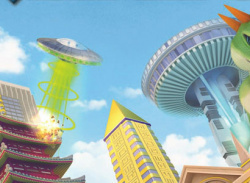 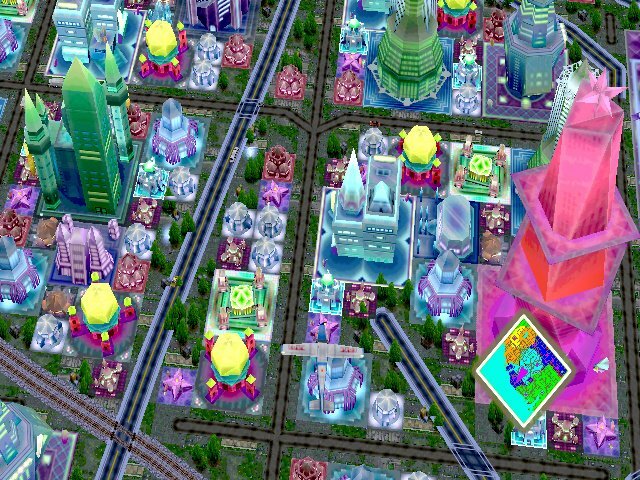 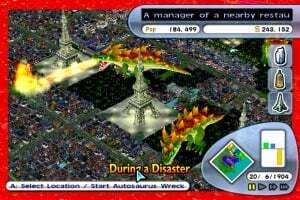 That was..
Be a powerful mayor -- create, enjoy and destroy your ultimate city. 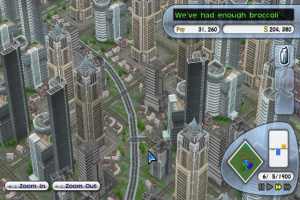 Start by zoning your city, constructing homes, businesses, factories, skyscrapers, freeways, railroads, and much more. 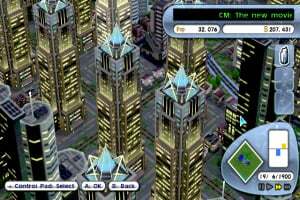 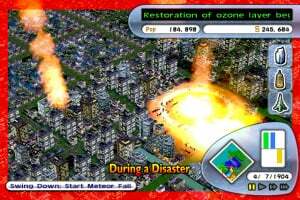 SimCity Creator is a visually exciting experience with a completely new user interface, designed specifically for the Wii and the Wii remote. 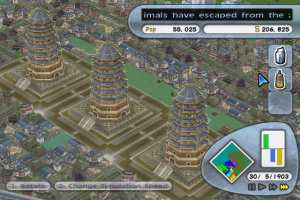 You’ll discover many ways to customize your city, including 13 city styles to explore, such as American, European and Asian themes. 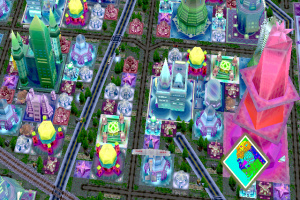 More city styles will be revealed, so stay tuned for more information! 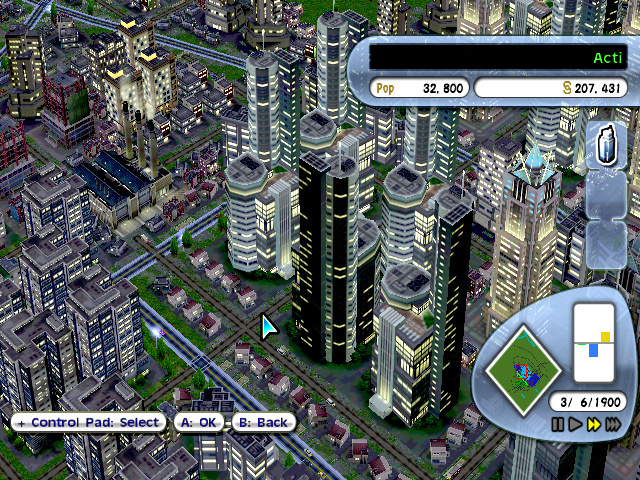 You can also place a selection of more than 30 “Hero” buildings into your city to make it distinctive and momentous. 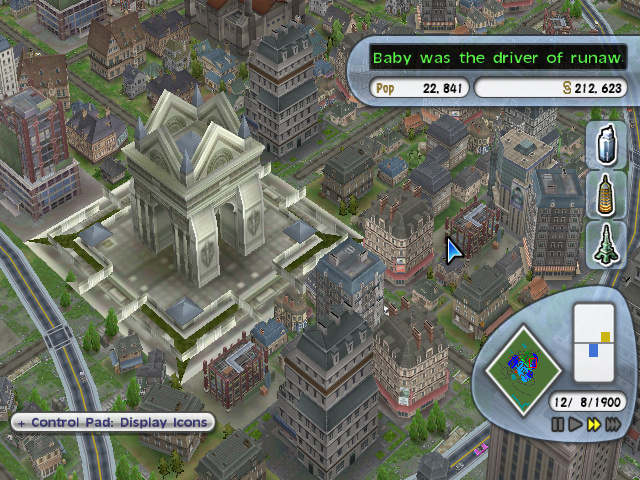 Some of these iconic buildings are based on the current day, some on history and some on fantasy. 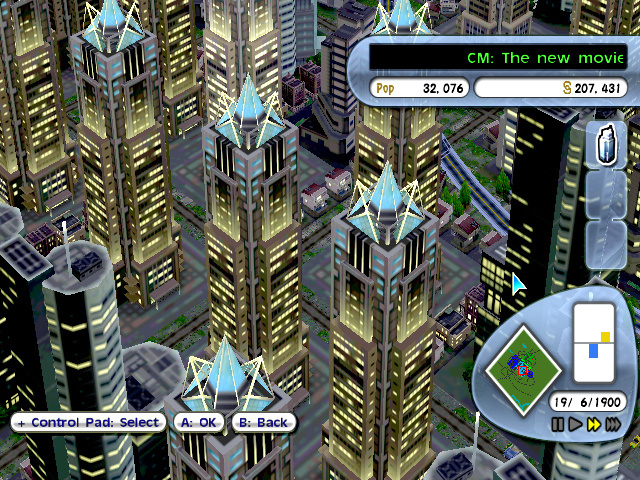 The more city styles you explore, the more Hero building options you have. 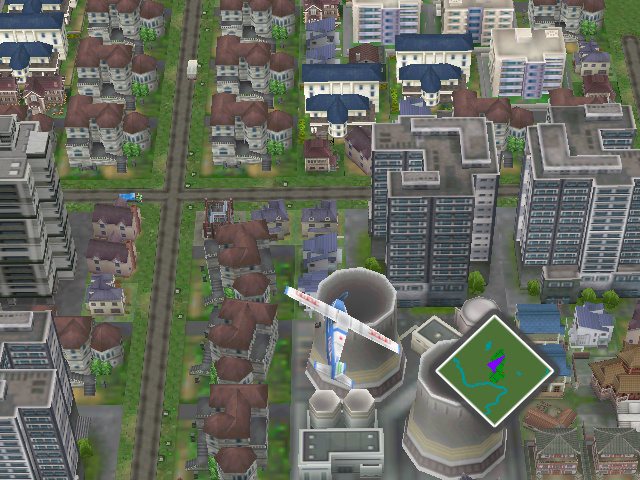 For the first time, take the liberty to build transportation systems with free placement of rounded and curved roads and rail lines, taking your city to new creative and curvy heights. 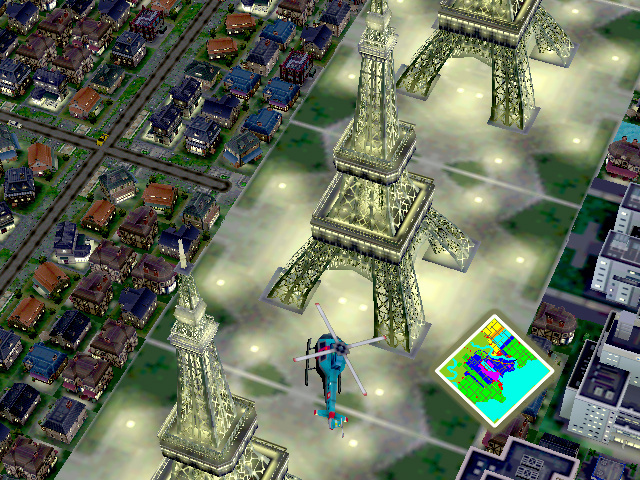 And get a new perspective on your cityscape from a helicopter, a jet or a propeller plane which you can use to fly over your creation. 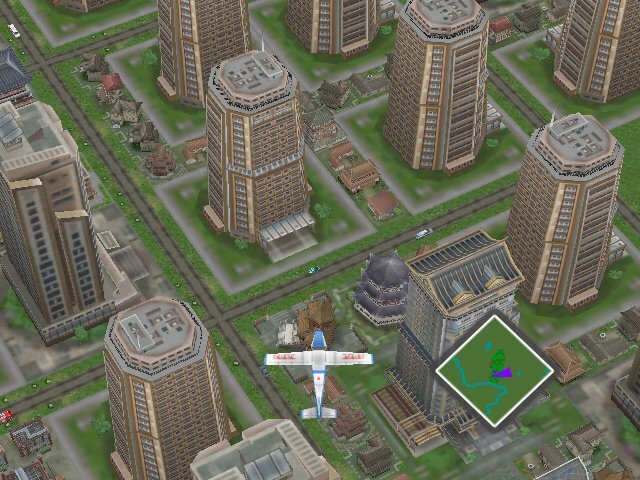 Check out what you’ve built in your aircraft of choice! 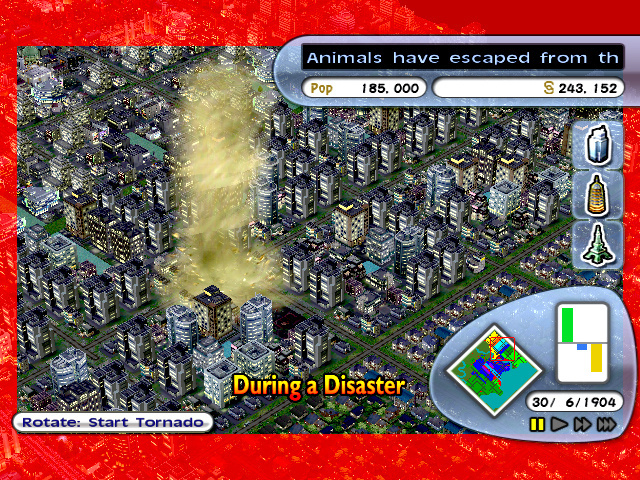 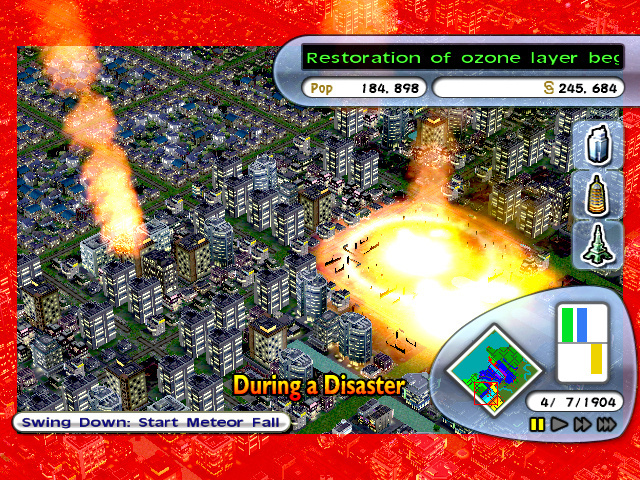 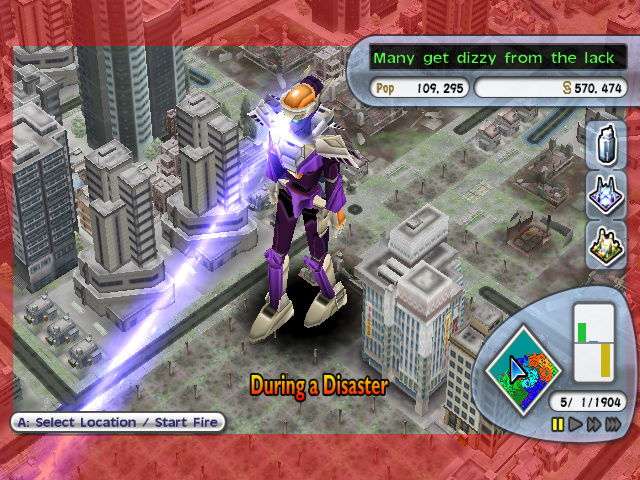 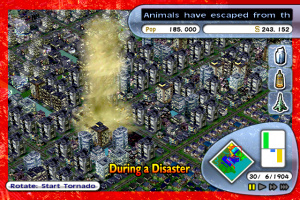 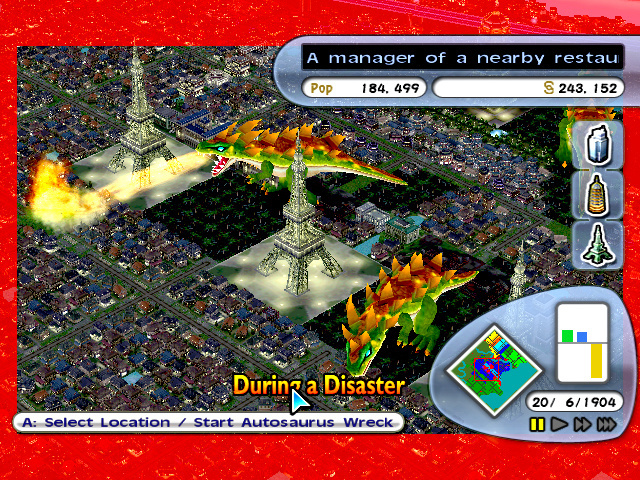 Disasters that players of SimCity always love remain an important and entertaining element in SimCity Creator. 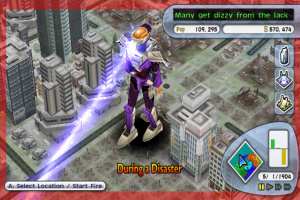 Using the Wii remote you can create earthquakes, tornados, call in destructive robots and monsters, create fires and discover many more ways to cause havoc. 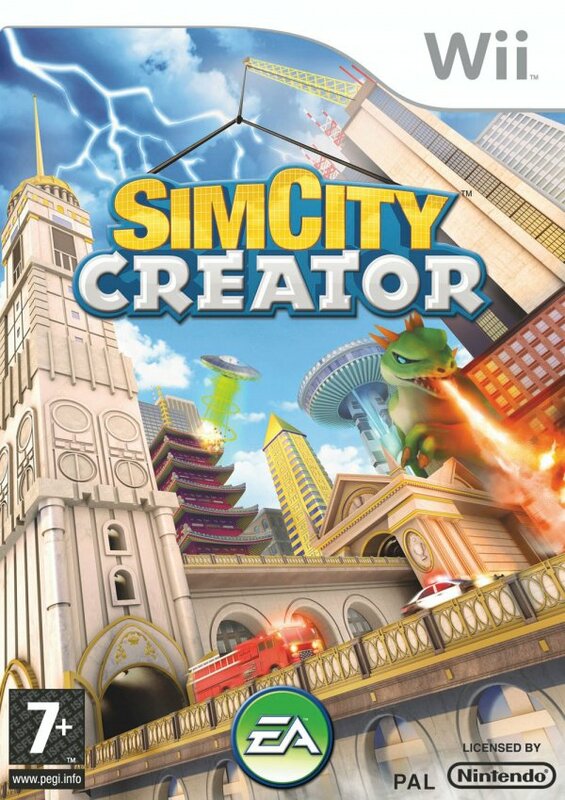 You created it, and now you can destroy it. 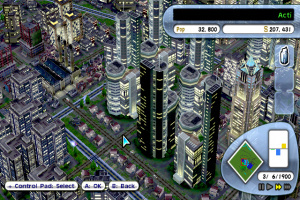 With hours of fun and replayability, the fate of your city and its citizens are in your hands!